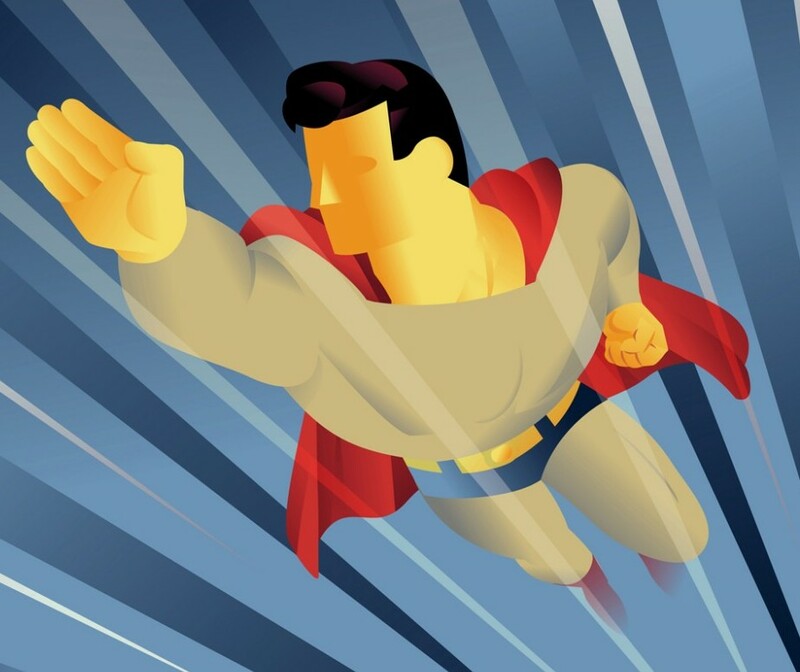 Superman – Teach Like a Superhero! Merriam-Webster defines “arch-enemy” as “a principal enemy.” The Online Etymology Dictionary provides more of a historical background for the term, which arose in the 1540s. Every good superhero has an equally evil arch-enemy. Superman has Lex Luthor. Batman and Joker. It’s commonly held that a hero is only as good as his or her villain. Check out this keen artwork picked up at Deviant Art! There’s even a fun quiz to see how many heroes and arch-enemies you can match. Teachers also face arch-enemies, but who (or what) are they? For some, it’s the unprofessional treatment of professional educators. For others, it’s “bad theory” and “convenient untruths” like learning styles and multiple intelligences. We’ve talked before about both issues (click HERE and HERE for the former; or HERE and HERE for the latter). But this time let’s turn the focus on ourselves. Sometimes a teacher’s worst enemy is himself or herself. This past year, the Marvel Comics Universe featured a “Secret Empire” story in which Captain America was a sleeper agent for the nefarious Hydra. Say it ain’t so! It was all due to a personified Cosmic Cube girl messing with Cap’s mind. (Just go with it.) Things all turned out okay and Captain America is back to his super-heroics, having punched himself in the teeth with Thor’s Mjolnir hammer. Comic books – yay! Steve Rogers is not the only iconic hero to face himself in battle. The film Superman III, despite all of its faults, has a nifty Superman vs. Clark Kent battle thanks to Richard Pryor’s home-brewed kryptonite. Hopefully, teachers don’t get so violent in confronting themselves. But we should be brutally honest in our self-evaluations. Are we losing our passion? Are we giving our best? Are we informing our instructional decisions on sound research as opposed to the latest fad? Let’s not get too down on ourselves. Everyone has a bad day. An “off week.” A challenging class of students – the kind that makes you earn your paycheck. Burnout is common, but treatable. Regardless of setbacks or success, the best teachers are always getting better. Let’s look into the mirror to recognize strengths, pinpoint weaknesses, and grow the heroic abilities necessary to “fight the good fight” of educating kids. “Grit” is a popular term in educational circles today, particularly with helping students succeed. I got those “gritty” quotes from the following TED Talk video with Angela Lee Duckworth, and you should watch the entire thing (about six minutes). In the world of superheroes, “grit” has a much different meaning. During the late 1980s and early 1990s, “grim and gritty” superheroes nearly saturated the comic book market. If you’re interested, you can read a thorough analysis of this time period HERE. “Grim and gritty” got so popular it seemed almost everyone got in on the act–Superman, Batman, Flash, Green Lantern, even Aquaman! Thankfully, most of these heroes’ gritty phases were short-lived and brighter days returned. For some heroes (or anti-heroes), however, it’s always been about grim and grit: The Punisher, Ghost Rider, Wolverine, and about 87% of Image Comics from the 1990s. Exhibits A-to-Xtreme below . . . Given the above definition of “grit,” I would argue that the grittiest superhero is Captain America. Remember, Steve Rodgers stood up to evil and injustice while he was still a 98-pound weakling. His heart and passion did not change after he gained powers and a costume. At times, Steve has given up or lost the title of Captain America. But he continued his work behind the scenes and/or assuming another superhero identity. At the time of the TED Talk video, not much was known about teaching and cultivating grit in students. Nevertheless, you can find research summaries HERE and HERE, which also include resources and tools for student grittification*. In the video, Duckworth refers to research of Carol Dweck on “growth mindset” as one potential factor in teaching grit. This is a good place to start. For example, HERE is one of Dr. Dweck’s articles (“The Perils and Promises of Praise”) that discusses the impact of teacher praise on students’ motivation and self-concept. All teachers should read this article, since 1) it is short, and 2) it has direct application in the classroom. In other words, it won’t take a lot of grit. But you should stop and think about how you respond to students, and what other messages are conveyed in your words. And this is just one step. As explained near the end of the TED Talk video, teachers who want gritty students must also be gritty themselves. Don’t let grit become one more educational fad that passes away. Time for another summer break from blog posts at Teach Like a Superhero! Hit the beach and hang ten! We’ll be back for “back-to-school” season with news and resources celebrating superheroes and teachers. What’s in a Name? – How should students address teachers? Ms. Pronunciation – How should teachers address students? Spoiler Alert! – Whether it’s a movie, a comic book, or the classroom, a spoiler can sabotage true enjoyment and engagement. So how do you teach students without spoiling them? Secret Hideout – Where do you go for peace, quiet, and rejuvenation? Word Balloons – Comic books use creative ways to convey voice tone. How does your voice sound in the classroom? Silent Issues – How much do you communicate without making a sound? Reboots and rebirths are all the rage this year in comic books. Use the summer to recharge for your students in the fall!